This paper presents a methodology for proving properties of distributed systems in which simulated execution assists and enhances formal proofs. It is well known that techniques such as testing can increase confidence in an implementation, but cannot by themselves demonstrate correctness. 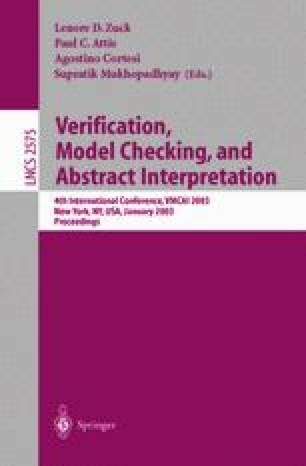 In addition to detecting simple errors quickly and to providing intuition about behavior, execution-based techniques can also reveal unexpected properties, suggest necessary lemmas, and provide information to structure proofs. This paper also describes the use of these techniques in a machine-checked proof of correctness of the Paxos algorithm for distributed consensus. Stephen Garland and John Guttag. A guide to LP, the Larch Prover. Technical report, DEC Systems Research Center, 1991. Updated version avaliable at URL http://nms.lcs.mit.edu/Larch/LP. Yuri Gurevich, Wolfram Schulte, and Margus Veanes. Toward industrial strength abstract state machines. Technical Report MSR-TR-2001-98, Microsoft Research, 2001. URL for software http://www.research.microsoft.com/foundations/asml/. Kenneth L. McMillan. The SMV Language. Cadence Berkeley Labs, 2001 Addison Street, Berkeley, CA 94 704, USA. URL http://www.cis.ksu.edu/santos/smv-doc/.